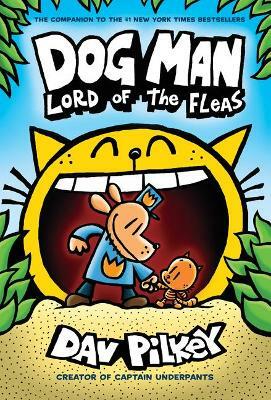 As a child, Dav Pilkey was diagnosed with dyslexia and ADHD. Dav was so disruptive in class that his teachers made him sit out in the hall every day. Luckily, Dav loved to draw and make up stories, so he spent his time in the hallway creating his own original comic books. In the second grade, Dav Pilkey created a comic book about a superhero named Captain Underpants. His teacher ripped it up and told him he couldn't spend the rest of his life making silly books. Fortunately, Dav was not a very good listener. Dav has gone on to create award-winning and bestselling books for children. His Captain Underpants series has more than 80 million copies in print worldwide and has been translated into more than 28 languages. In 2017, DreamWorks Animation brought the character to the silver screen in the feature film adaptation Captain Underpants: The First Epic Movie, and Netflix is now streaming The Epic Tales of Captain Underpants TV show. Dav's latest creation, Dog Man, continues to be a #1 New York Times bestselling series with more than 23 million copies in print worldwide and translations available in more than 27 languages. Dav is also the creator of the Dragon series, the Dumb Bunnies series, Dog Breath, and The Paperboy, which is a Caldecott Honor Book. Dav lives in the Pacific Northwest with his wife.